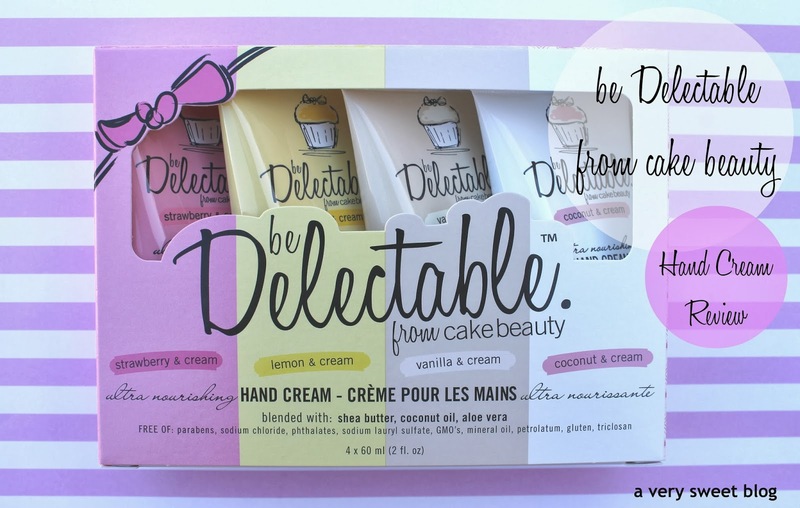 The Be Delectable Collection, which can be found at Kohl's in the US & Target in Canada, comes from the maker of Cake Beauty. Cake Beauty is a Canadian brand. I remember when Cake Beauty first started. It was composed of two women, that literally created beauty treats from their kitchen. There's only one owner now (Heather). Some of my older readers may remember the other owner, Rosie of Sweetapolita, from my post in 2012. I tried Cake Beauty products a long time ago and they were sweet (like literally icing on the cake). 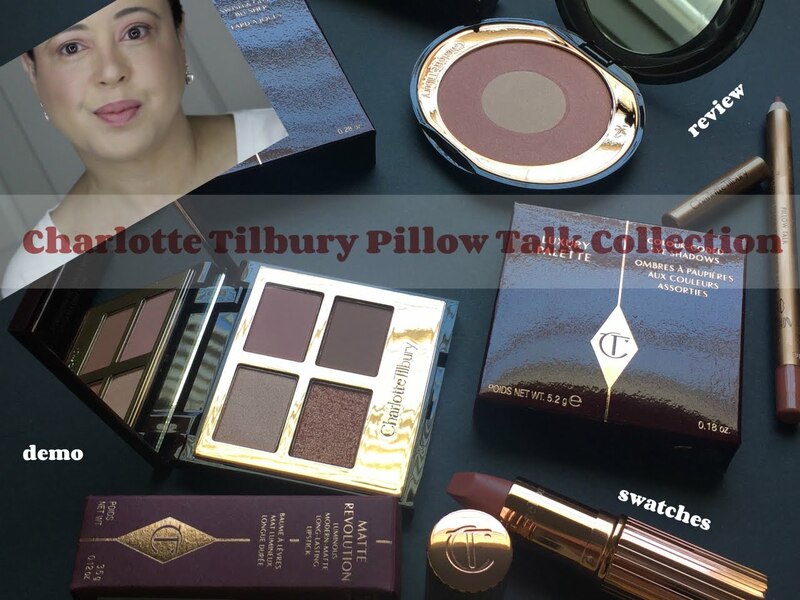 I'll test out Cake Beauty's products again and showcase them on the blog for you before year's end. Last year, I was excited to see a spin off to Cake Beauty, called Be Delectable. At first it was only available in Canada, but it can now be found here in the States. The collection offers FOUR scents in body wash, body lotion, body polish, body mist, and hand cream. I don't have a Kohl's nearby, so I wasn't sure which scent I would like. Therefore I thought purchasing the hand creams would be a safe bet, to see if I wanted to order more of a particular item (scent). This is my review of the hand creams ($14.00 USD). How cute is the packaging? The box contains 4 (four) tubes of scented hand creams. The scents are Strawberry & Cream, Lemon & Cream, Vanilla & Cream, and Coconut & Cream. These hand creams are FREE OF parabens, sodium chloride, phthalates, sodium lauryl sulfate, GMO's, mineral oil, petrolatum, gluten and triclosan. I thought I would be able to review them as a whole, but there were some differences. Therefore I'm reviewing them individually below. (note: the soap cupcake is not part of the collection. i used it for decoration). The vanilla & cream is super awesome. Not all vanilla scents are equal! This is not one of those light or weak vanilla scents. It's rich! It's warm! It reminds me of natural vanilla bean. I love it. The lotion is white in color, creamy and left my hands moisturized. I loved it. 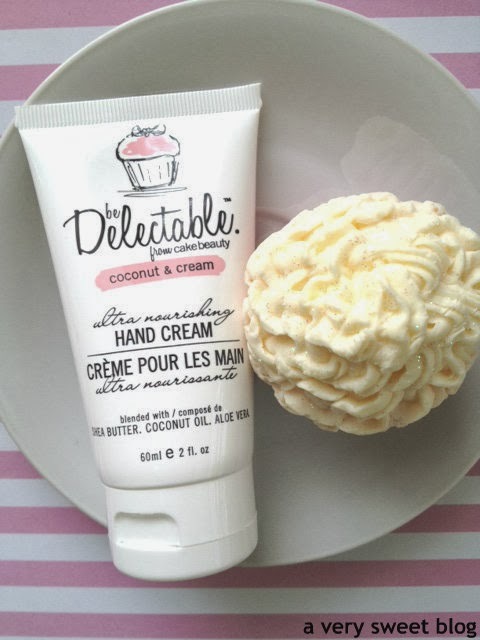 The Coconut & Cream scented hand cream is T-R-O-P-I-C-A-L! Dream of lounging on an island & drinking a tropical drink! Yes, that's what THIS is! It's sweet. To me, it's a vanilla & coconut blend. It's Spring. It's Summer. This is lighter than the vanilla scented hand cream above. It will put a smile on your face :). Very creamy. Very moisturizing. FRESH (and I mean fresh) strawberries & cream! That's the only way to describe it. It smells yummy! Wear it and I bet someone will ask if you've been eating or have strawberries stored nearby. It's that good. This lotion is a light pink color. Just as the others, it's creamy and moisturizing. No, that's not a typo! I was extremely shocked when I smelled this scent. I don't know if I had a bad batch or what, but the Lemon & Cream hand cream smelled literally like lemon furniture polish. It didn't smell good at all. This scent was so OFF compared to the rest. If anyone else has tried lemon & cream, please share your thoughts. Again, I don't live near a Kohl's to see for myself. So disappointed! I like lemon (but definitely not this one)! 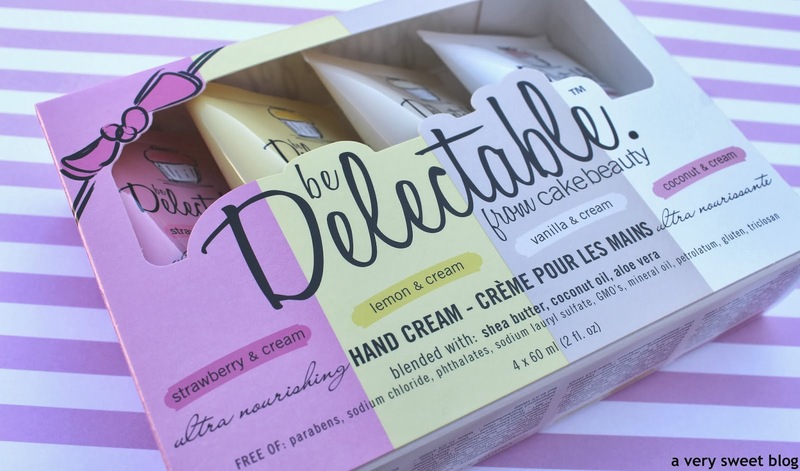 Overall, I'm really impressed with the Be Delectable Hand Cream set (except for Lemon hahaha). For $14 (USD) you really get good quality hand creams.The tubes will easily fit into your purse. If you bring them to work, they just might get swiped! Leave the lemon one out as a decoy and they won't bother you anymore. LOL I would like to add one more thing, these hand creams should be used right away! I purchased these in December and the scents are not as powerful now (February). So don't let them sit. Shelf life must be an issue. Those are my thoughts. Have a great week loves! Well, not counting the lemon one (which is disappointing since I usually love those citrusy scents myself), sounds like overall a great set! Adorable packaging! What a pity about the lemon version, it's usually one of my favourite scents. Still the other three sound lovely! 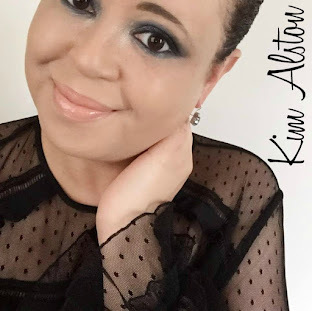 Kim, I've tried Cake Beauty before and did quite like it:) I don't think I've tried these hand creams before, and it's good to know they're really moisturizing. Sorry to hear about the lemon one though. I hope it's just a bad batch, coz lemon is one of my fave scents and that would probably be the one I would be likely to try first. the strawberry one must be mine! Dear Kim, if they have a short shelf life it means they are even more natural! The packaging is too cute, and I wouldn't mind for a lemon scented cream anyway. So let's dip in Vanilla & cream!! A very honest review, Kim. I don't know this brand but I'm always interested in hand creams especially if they are small enough to put in a handbag. Coconut always reminds me of hoildays but I like the sound of the vanilla one in particular. Nice packaging and I like the fact that they are paraben etc. free. Have a good week! The packaging is solo cute! too bad for the lemon scent.. you made me laugh when you pointed out that it smelled like furniture polish. The coconut scented lotion sounds dreamy! I'm surprised that the Lemon wasn't as good. I thought for sure it would be citrusy and refreshing! Looks so good and yummy at the same time, makes me want to grab that cupcake kinda and eat it. I like the strawberry and cream scent though. The packaging is also adorable. Too bad for the lemon scent. If I could this wrapped up in a gift box I would be more than thrilled, it sounds so heavenly, vanilla & cream! My favorite scent. I like the story behind the brand as well. Those are cute! I am a sucker for cute packaging, haha. Bummer that the scents get weaker over time. I like to switch up my lotions so i don't know if these would work well for me! the packaging looks cute...these sounds good! hah...I love your plan to leave the other as a decoy. haha. So funny. 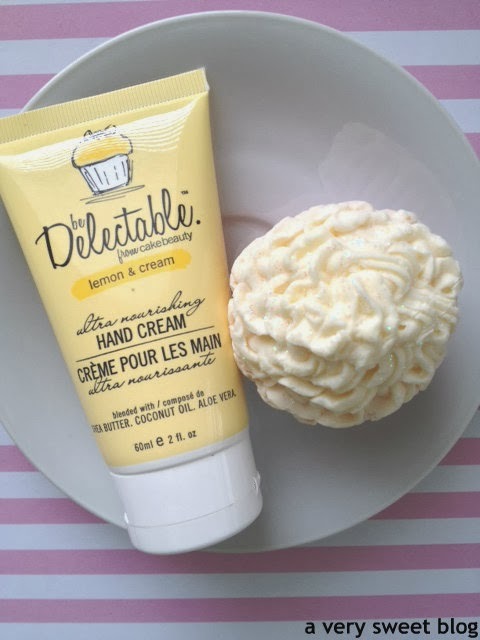 Amazing review love to try the vanilla hand cream great post. Thank you for visiting my blog. those products look so good! Oh my the packaging is SUPER CUTE I LOVE it! I am generally not in too food scents for beauty products and creams with the exception of cucumber. I love that scent. 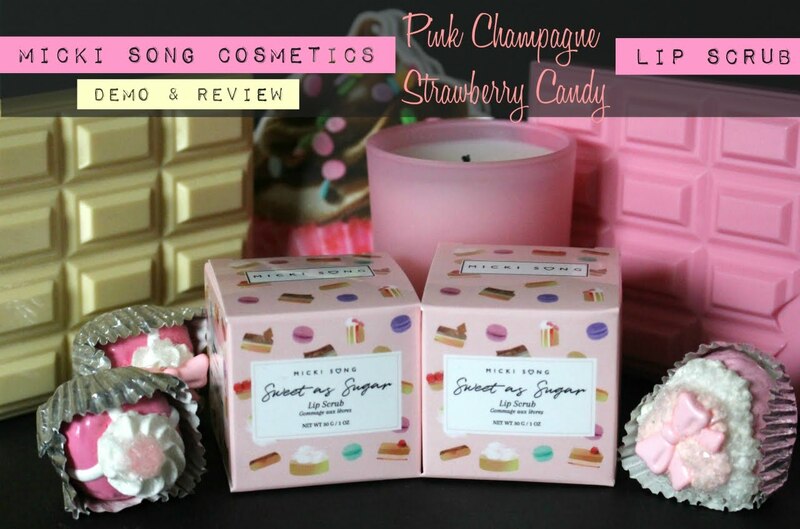 These confectionary beauty products kill me because they smell so sugary good! Hi Kim'm always changing hand cream is bad to be allergic, right now I'm about to change that currently use: (These products are interesting! Have a greta week hun! Darn, I wish I could just try them one at a time (and skip the lemon as it seems not so great). Yes please on the vanilla hand cream. And you're right, the packaging is adorable. Excited to try it once my current hand cream runs out! 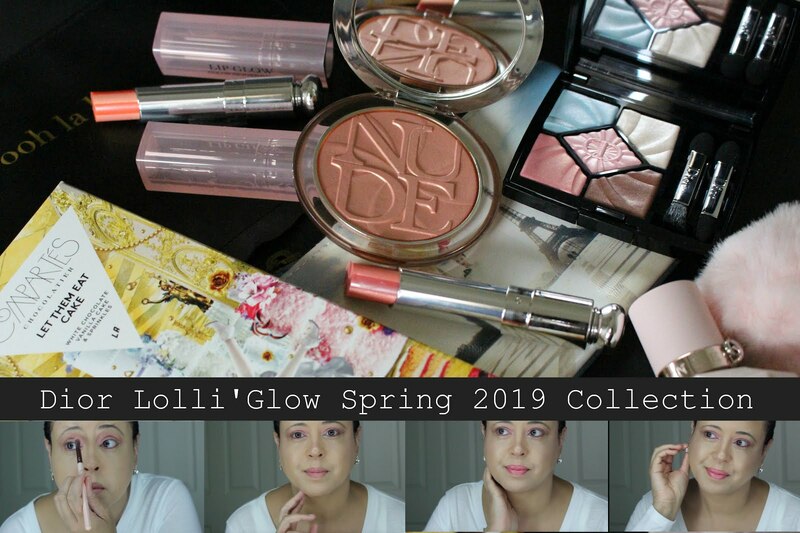 Cake Beauty is definitely one of my favourite Canadian beauty brands and I've been very interested in trying Be Delectable but haven't found it in stores yet. I might have gone for the lemon scent so I'm glad I read your review first - definitely going to choose vanilla instead, it sounds fabulous! Vanilla is one of my favorite scents (the warm kind!). I know this is hand cream but the packaging and the way you reviewed it makes it looks so yummy! Hey Kim, I bet these hand creams smell amazing! I might check them out when I go to Target. Yummy! 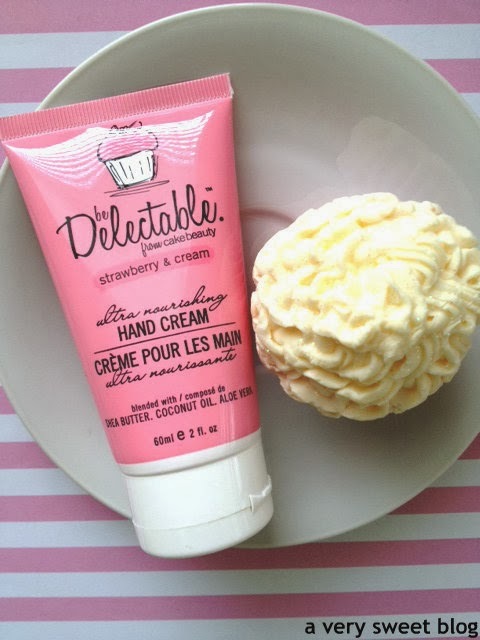 Those hand cremes look so luscious and cute! Oh my!!!! 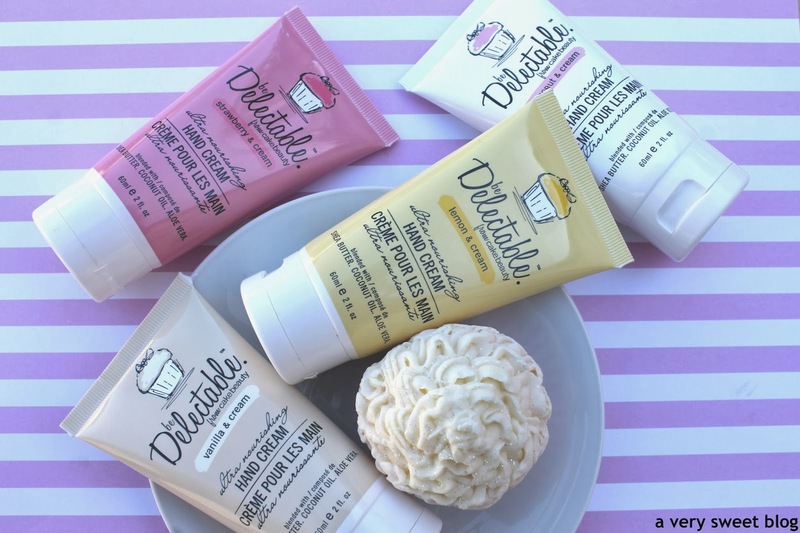 I know its hand cream but my tummy is telling me to eat it hahah it looks so delicious, like I could almost smell it through the monitor :P would loveeee to try these! They look delicious! Haha! Its just your blog... It always makes me hungry even when the items are not edible! I LOVE LOVE sweet smells and I am a vanilla lover!! I love Coconut so that one would be amazing!! I can just imagine the smell! haha! Ooh coconut and vanilla sound divine! Thanks for the recommendation! It's a shame lemon didn't work out! The packaging got me in love and I really love to try the vanilla! 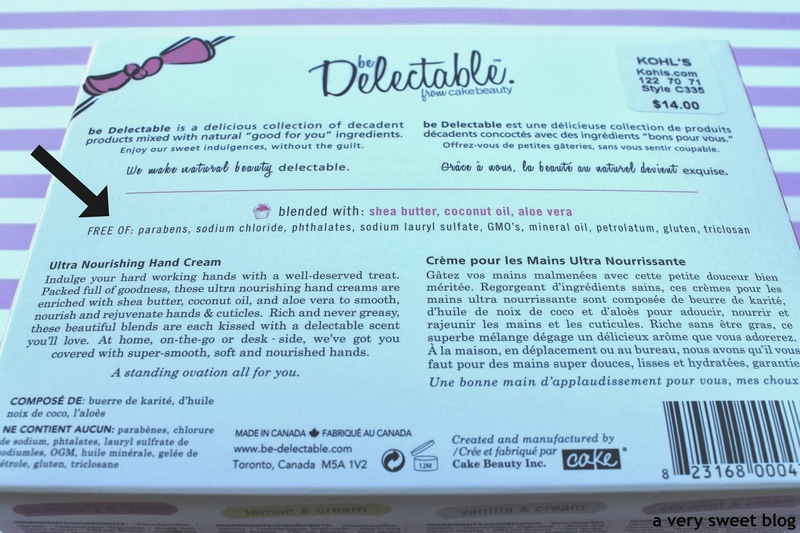 i love having hand creams especially because those hand soaps are so bad for your skin... nice review! Wow these seem great! Good review, now I'm curious and would love to try them. I love yummy scents. I tried these out last year in December while at Kohl's. The vanilla scent is my most favorite. At first the scent is soooooooo good and yummy, I literally went crazy but after a few minutes it wore off and left unpleasant scent. Its texture is rich though. Thanks for great reviews Kim. great post! This is just so so drool worthy. I like! The coconut one sounds amazing, as does the strawberry one. It's a shame they're not available in the UK. The scents sound lovely except for the lemon one. I love the packaging. I haven't tried these before and don't live close to a Kohls either. I agree with you that the packaging is cute and that the scents sound great. I am disappointed to hear about the lemon though as I normally love a lemon scent. I can never have enough good hand creams around, I've got 2 on my desk right now alone! These sound really good and I am going to look for them, because you know I need one for my bag, lol. Hey Kim! I hope all is well. I saw your tweet about being asked not to disclose if a post is sponsored. I never check my blog e-mail any more as I stopped blogging about 9 months ago, but I just checked today and a company e-mailed me asking to take off the word sponsored from two posts from over a year ago! I ignored it because I am pretty sure that is like illegal. I appreciate you always being honest! That sounds great! I want to try it. 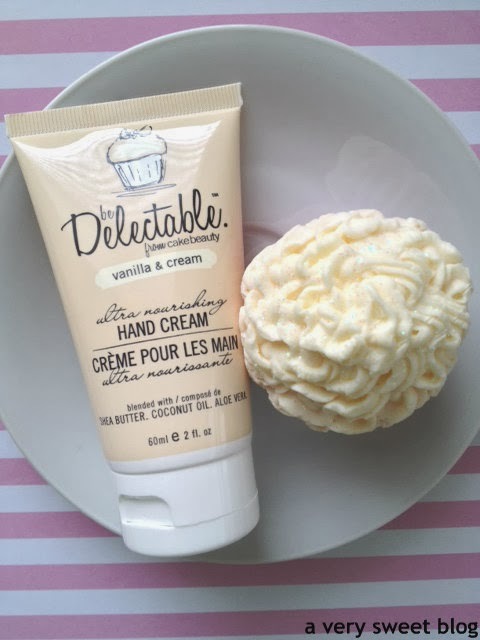 Wow,Love the vanilla & cream sounds awesome,i think this one would serve a good hand cream for me. I love the packaging looks so tempting and sweet. I saw your mail so sorry i didn't reply been busy with work and my kids school activities,concerts and all sorts. Gtreat post babes..
Wow,Love the vanilla & cream, sounds awesome.I think this one would serve a good hand cream for me. I love the packaging looks so tempting and sweet. I saw your mail so sorry i didn't reply been busy with work and my kids school activities,concerts and all sorts. Great post babes. Lol, I thought for sure that soap pancake was part of the collection! These sound nice (except for the lemon furniture polish one, of course), but I'm a little wary of strongly scented lotions since I have allergies to fragrances. Still, I might have to order a set (there's no Kohl's near me either) to see what they are like. i love the packaging as well. i love anything lemon and coconut so i can only imagine how good that coconut smelled. bummer about the lemon, tho!! Looks so good and creamy. It must smell so good. The price is not bad too. i love handbag-sized hand creams! always have one around somewhere - these sound really yum. even the lemon one! The lemon one I got smelled delicious! Hope you have gotten to try a different batch because it does smell wonderful!